Friends coming down to town for the festive season and you want to show them around your city? 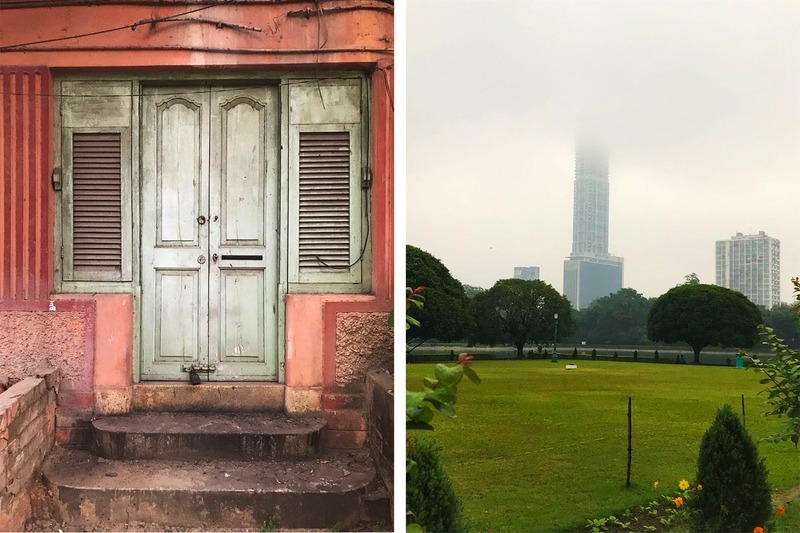 Artsy Cafe’s Arshdeep has shared with us an interesting itinerary that you can definitely follow to show Kolkata’s unique features to your friends. Dominique Lapierre may have hailed Kolkata as the ‘city of joy’, but this city can also be called the city of books. Like many Kolkatans, Arshdeep is passionate about books. So, the first place he takes his friends to are the old and rare bookshops that are tucked around in the city. College Street’s old and secondhand stalls are popular. Arshdeep suggests visiting Earthcare Bookstore on Middleton Street – a quaint specialty bookstore that stocks rare and uncommon reads not found elsewhere. Every new visitor to Kolkata has to have New Market on their itinerary, right? Arshdeep agrees to this, but says a visit to Kolkata's quintessential market must also be followed with a visit to Sudder Street. While the old historic building of New Market itself wows a visitor, Arshdeep suggests taking a walk down Sudder Street to let your friend soak in the hippie vibe of the place. He definitely recommends a visit to Raj’s Spanish Cafe because it’s easy for tourists to identify with the traveller vibe of the eatery. Another Kolkata must-do is taking your friend along for a dinner at one of the old restaurants of Park Street. Even though both Mocambo and Peter Cat have long lines, the experience is worth it because how often will you find a menu that’s over fifty-years old and waiters still dressed up in liveried costumes complete with plumed headgear! Once the capital under the British Raj, old Calcutta has a unique charm about itself that is still sacrosanct and is missing in other cities. Arshdeep suggests the best way to explore this facet of Kolkata is to take your friend for a drive in the night around heritage old Calcutta. He plans out the route from Victoria Memorial (glowing beautifully in the dark), then drives down Red Road to Eden Gardens and Raj Bhavan and enters the BBD Bag area that is lined with old heritage architectural wonders like the Writers Building, Guillander House, Royal Insurance Building and the Currency Building, besides the several others that dot the locality. Another essential part that Arshdeep insists on showing his friends is the city’s safety quotient, better than most metros even at odd hours of the night. He says this city is considerably safer to navigate around. Midnight food haunts are nothing new for people living in metros, but this city’s midnight snacking scene is slightly different. Of the places Arshdeep suggests taking your friends to, Balwant Singh’s Dhaba tops the list. It’s less about food, more about the experience. As he points outs, there may be dhabas in other cities that serve food at midnight, but there will rarely be any that’ll stay open all night to serve tea. But if tea’s not your mojo, then Arshdeep suggests taking your friend to Pabrai’s ice cream parlour to taste their eponymous nolen gur ice cream.